With so much apps introduced on these days, users could find their perfect solace in spending time with unique beneficial apps to cherish good features. 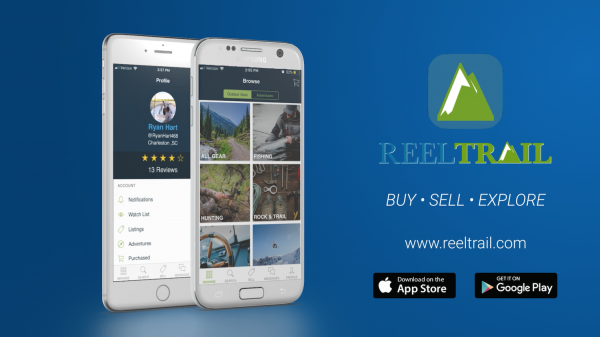 Generally people could find lot of apps on the cards lately, but every now and users always wish to look for ReelTrail – Buy & Sell Outdoor Gear app. Presently users have the perfect opportunity to buy and sell new, used, and vintage outdoor gear with ReelTrail app. It is the latest online marketplace with a niche professionally designed for outdoor enthusiasts. Suppose if users have their closet or garage filled with gear which you don’t use? Then ReelTrail would be best ticket where you could experience array of equipment already up for sale on the website, widely ranging from fishing reels to skis, thrilling hiking backpacks to sailing equipment, extensive hunting clothes, and much more. This popular ReelTrail’s platform makes the process of selling outdoor gear fast and simple. When you look at the numbers, it’s hard not to see why they stand out from the bigger organizations. In addition sellers could develop a listing for their gear in less than minute, print shipping labels from the app and website, and unlike the other firms. Moreover the ReelTrail sellers are only required to pay when their items sell. The users could also advertise their Adventure Trips and Guides, whether they offer offshore fishing charter or teach skiing lessons. Apart from this ReelTrail does not charge insertion fees either. The firm prides on being transparent and upfront with regards to payments and fees, and the website enumerates how the payment system works. The sellers could pick different subscription levels and list as many items as they like without the fear of any hidden fees. Besides other features ReelTrail also qualitatively donates to different outdoor-related non-profits around the country. Only pay 7.5% when your item sells. More importantly the owners have quality experience in the outdoors, adventure traveling, and are excited to offer ReelTrail to the rest of the outdoor world. If users are looking for exciting kind of app to sink their mind into this weekend, then ReelTrail would not surely disappoint.